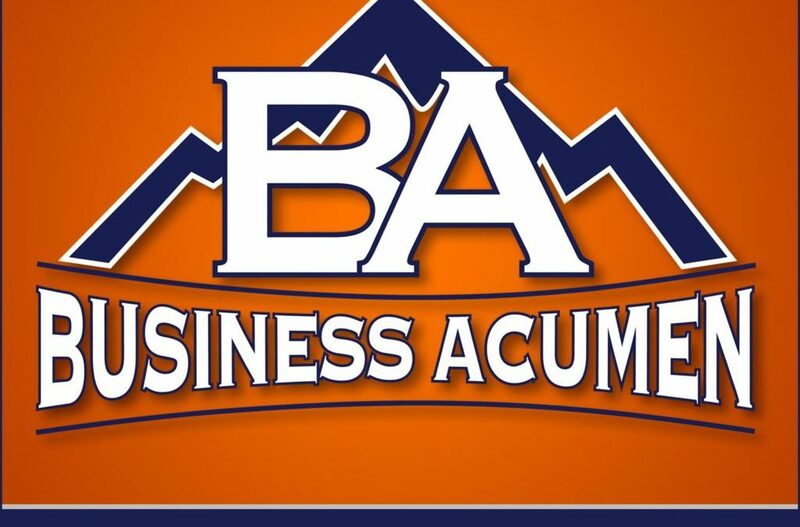 Business Acumen is a show where two great friends with equal and opposite skills, experience, and expertise share with viewers to help reach the summit of their abilities. We are all climbing mountains, each and every day. Through this journey to the top every helping hand we can get along the way will help us get there easier and faster. The more we can learn from others, the fewer mistakes we have to make to get where we’re all trying to go, to the top. The summit! This show is about sharing that knowledge and experience so we can all grow together. And to be clear, it’s not about seeing a couple of guys sit in front of a camera and talk for 30-45 minutes. It’s about learning from others too. There will be special guests that bring value beyond that of Roy and Joe. Speaking of Roy and Joe, who are the hosts of Business Acumen? Owner and president of JMC Brands, Roy started the company in 2010 and has lead its growth to a multi-million dollar agency. JMC Brands, the sponsor of Business Acumen, has delivered almost 1 Billion Ad Impressions over the last 8 years. Roy has been running the business race for 14 years and through that time has been passionate about sharing his knowledge and experience with everyone he can. From stage or face to face, he is always willing to share whatever he has with anyone and everyone. Roy is also certified by the iab in Digital Ad Operations. This means that he is on the top of changing technologies in advertising and how they work from start to finish. Additionally, Ad Ops certification is about working intelligently to make campaigns run efficiently while using best practices, tools, and technology so those that he works with will succeed. Roy’s resume also includes an MBA in Leadership, working for major clients such as the US Army, and is a member of the John C. Maxwell team! Joe has been in the advertising world for 18 years and has covered some major ground in that time. From entrepreneurship in his own companies (currently 3 active and successful companies) to working with one of the largest ad agencies in the world Joe has the vision, discipline, and expertise it takes to be truly set apart. Joe brings leadership and industry experience to the table for large and small organizations. As co-founder of JMC Brands, he understands the position of multi-channel marketing and the importance of creating a synergy between traditional and digital advertising. In addition to leading the team, Joe approaches each new challenge as an opportunity to address the needs of clients to create the best solution. Joe has a Masters of Science in Marketing and is also a member of the John C. Maxwell team. Combined, Roy and Joe have over 32 years of working in the trenches, leading teams, running successful advertising campaigns, running successful businesses and teaching how to do things with excellence. Why should I listen to Business Acumen? The answer here is simply, if you want to learn from our mistakes in business, leadership, marketing, and several other topics you should tune in. Special guests will be bringing insights into other topics as well and all around the aim of the show is to provide value to you each time you listen or watch. We will be publishing all our videos to YouTube. Click the link below to check out our page. https://www.youtube.com/channel/UC7n-cH3n6xv9el3DC5NzvYg We will also be doing some live streaming on Facebook. Subscribe to our YouTube page to stay up to day with each episode, and follow us on Facebook for all the action taking place there. What If I want to listen only? We understand that convenience is key! If you want to listen to any show, subscribe to our Podcast at iTunes, Google Play, or SoundCloud. What’s Up With “Summit Up”?? You may have noticed that our @ names and URLs are all about Summit Up Biz and not Business Acumen. You’ve heard the phrase, “Man Up” “Cowboy Up” and maybe even “Ranger Up” - Summit Up is about getting out of basecamp and starting your climb to the top. Or if you’re on your way up, keep it going. We are all trying to get to the top and if we help each out we will get there faster. Let’s Summit Up and get headed to the top. We’ll see you on the journey!